In today’s highly competitive environment, the need to hire, develop, retain and manage top talent is more critical then ever before. At the same time, the challenges and complexities of managing employees are no longer limited to large corporations. At M Group, we recognize that people are a good company’s most valuable asset, which is why we work closely with our clients to develop custom solutions to address their critical personnel needs. All organizations today are constantly balancing business growth and effectiveness, with the legal requirements of having compliant HR policies and procedures. Our clients are business owners and entrepreneurs, focused on running successful companies. They are not experts in the nuances and legalities of employee management. Still, as their businesses grow, they are now forced to do more than manage payroll and benefit administration. Suddenly they are faced with issues they had never considered – new hire orientation, responding to maternity or disability leaves, disciplining employees for inappropriate conduct, or handling employee inquiries about compensation and fair pay. Many small and mid-sized companies don’t have the time, resources or expertise to properly manage all of their increasing personnel needs. At the same time, employee challenges can create huge financial and legal exposure and are also a major distraction for management, taking their focus away from running the business. At M Group, we apply innovative and practical policies and procedures to the small company environment. We work with our clients to help them understand the importance of having these policies in place, and how not having them can impact their business. Our team of specialists can function as your Human Resources staff, managing your day-to-day needs on an outsourced basis, or provide counsel and support to your existing HR function. Our HR professionals create long-range human resource policies and programs to ensure efficient administration and cost- effective regulatory compliance. 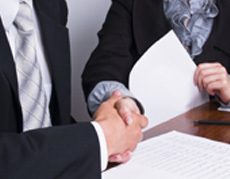 We partner with our clients, working closely with them to understand their business needs. Our goal is to identify problems before they occur and, if a situation should arise, work with you to address it quickly and efficiently. See List of Human Resources Services. Every company should strive to be known as a, “great place to work,” a place each employee would recommend to a friend or family member. Our goal at M Group is to help you create that environment. Our policies and procedures will lead to hiring better people, managing potential issues and improving overall employee relations. By serving as your outsourced HR department we can take the stress out of managing your personnel needs.